When they hear the word suspension, many drivers in Tucson may think back to those energetic days of grade school. Well, your vehicle's suspension is actually a good thing because it keeps your vehicle up off the road and helps provide a comfy ride around Tucson. Its job is to keep your wheels firmly planted over bumps and through curves. Your suspension system has many parts. If you look under your vehicle, it's basically everything that connects your wheels to the vehicle's frame. These are heavy duty parts that do a lot of work. They need to be inspected for damage and excessive wear at least once a year. A good time for this is when you get your annual alignment service at Advantage Auto Repair & Transmisson. Basically, you just don't feel in control when you're driving. Some suspension parts just wear out with use. Shocks and struts eventually lose their ability to control your ride. Wheel bearings need to be repacked every couple of years. And some suspension pieces need to be lubricated when you get your oil changed. Your service advisor at Advantage Auto Repair & Transmisson can perform an inspection and tell you what problems you may have. If you're in an accident, your suspension can be damaged or knocked out of alignment. Even a minor accident, like hitting a curb around Tucson or even a large rock can mess things up for drivers. With a minor accident it's tempting for many to just get an alignment or wheel balance to correct the problem. But if there's damage, a simple alignment won't actually fix the problem, and you'll just have to align it again after the repairs are made. So if you have an accident, get your suspension system inspected right away. Suspension problems are a major safety issue because they can lead to unsafe handling. One big cause of suspension damage for Tucson drivers is potholes – those nasty magnets that form in roads in freezing weather. They seem to draw our tires right into them. Here are some tips for avoiding damage from potholes: First, keep your tires at their full air pressure. That gives tires their maximum resiliency and will hopefully keep your wheels or other suspension parts from crunching on a big hole. Next, just pay attention. When you see a hole you can't miss, slow down before you hit it. Driving at a slower speed will limit the damage and may keep your drink from spilling. But avoid the temptation to brake directly over the pothole. That will cause the car's weight to shift forward and add to the potential damage. There's a segment of the Tucson area population that's not committed to proper vehicle maintenance. Now, the ignition system in your vehicle is electronic and controlled by the engine management computer. Spark plugs rarely get fouled and will last for as much as 100,000 miles (160,000 kilometers). So tune-ups used to force you in to Advantage Auto Repair & Transmisson for service, and while you were there you just took care of whatever else was on the list. Also, in recent years, a large percentage of new vehicles in Tucson have been leased. These folks plan on turning the vehicle in after two or three years, so they haven't focused on the maintenance that helps a vehicle last longer. Given all that, what's the benefit to keeping up with factory scheduled maintenance? Well, your vehicle will perform better and return better fuel economy. Those benefits pay for themselves as they go along. The big plus is that major repairs are prevented. And these aren't just repairs that are a long way off. Modern vehicle engines are far more sophisticated and have many parts that are in critical need of proper lubrication. Missing just one oil change can allow oil sludge to start forming. Sludge clogs small engine passages, robbing parts of the lubrication they need. An expensive failure could easily occur within two or three years. And modern engines require more sophisticated fluids. Because of the different types of materials that are used to make auto parts, things like aluminum, plastics and steel, different types of additives are required to protect automotive components from corrosion. These additives deplete with time as well as with use. Taking care of the little things now prevents big problems later. At Advantage Auto Repair & Transmisson, we have been taking care of all those little things for years. Your vehicle still needs to be taken care of – it's just that some of those points of care have changed with automotive advancements. The need for proper maintenance in Tucson drivers vehicles did not go away. Knowing how their engine works can help Tucson drivers make informed decisions about auto care and prevent repairs to their vehicles. This is especially true when it comes to timing belts. Not all vehicles in the Tucson area have timing belts. Some have timing chains. A timing chain is more durable and rarely breaks, but timing belts are cheaper, so many use them to save money. Timing belts wear out and break, so part of preventive maintenance for Tucson drivers is to replace the timing belt on schedule. The results of failure of a timing belt depend on the type of engine in your vehicle, but they are always inconvenient and can be very costly for Tucson auto owners. If your engine is a non-interference engine and the timing belt breaks, the engine simply stops running. Now that can be an incredibly inconvenient situation depending on where you are driving around Tucson when it breaks, but it won't cause any engine damage. On the other hand, if your vehicle has an interference engine and the timing belt breaks, the valves on your cylinders will actually fall into the path of the pistons. Then things start getting chewed up by the motion of the engine and it will cost thousands of dollars to get everything sorted out again. Compounding the problem is that there aren't any warning signs before a timing belt breaks. A visual inspection of the belt is difficult also. In some vehicles, parts of the belt may be visible, but most vehicles hide the belt under a cover. Replacing a timing belt is not a cheap part of preventive maintenance for Tucson vehicle owners. The belt is usually difficult to get to and often requires removal of some of the engine accessories. The cost of the replacement, however, is a lot less than what the repairs may cost if the timing belt fails. 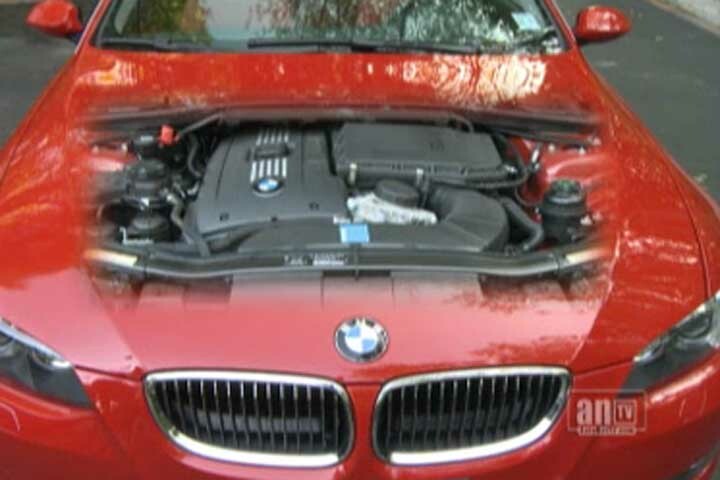 For more auto advice on timing belts and other engine components, you can always consult with your service advisor at Advantage Auto Repair & Transmisson. When it comes to car care, ignorance is not bliss. It can end up costing you in a big way.